At European Business Magazine we also like to cover the best stories covering Europe and one of the more important articles that came to light was written by Anthony Hilton in the London Standard following the referendum vote. Anthony wrote “Back in 1975, the last time we had a referendum on whether we should continue to be a member of the European Union, the Government spelled out in advance that it would not necessarily do what the people decided. The Labour government of Harold Wilson made it clear the referendum was advisory — the ultimate opinion poll if you like — but that “the British parliament in Westminster retains the final right to repeal the Act which took us into the Market on January 1, 1973”. People seem not to understand that this is still the case. The referendum next week is not binding and the result does not constitute a final irrevocable decision either way. People talk about notifying the EU of our intention to leave and then having two years to organise it, but that is not the core issue either. If we are to leave the EU, it will take a fully fledged Act of Parliament to do so. It is hard to see how a notice to quit under Article 50 could be served, given it sets that process in train without the agreement of Parliament. But that should have to go through the Commons and the Lords, plus all the committee stages, just like any other Act of Parliament. That is a big ask for a Tory Government with a majority of only 14. It is one of the ironies of the campaign that the Brexiteers bang on constantly about Parliament’s loss of sovereignty and claim all our laws are made in Brussels. It is a lie because, as they may yet find out, the British Parliament has retained more than enough sovereignty to thwart their plans and ignore the referendum result. The British Parliament is sovereign and it is accountable to the people — but through elections at which we choose those whom we want to represent us, not through referendums. To rub in the point, Members of Parliament are representatives, not delegates, the difference being they are there to decide what in their judgment is good for us and the country, not simply to do what we say. That is why we do not have capital punishment, which was abolished in the Sixties although a clear majority of the population remained in favour of it. A civil war was fought and a king beheaded to establish that sovereignty; it is not something that can be set aside at the whim of a Boris. The interesting thing is that the 650 members of the House of Commons are overwhelmingly in favour of staying in. How overwhelming? Well Brian Reading, for many years one of the team at Lombard Street Research, has done the sums and published them on the website of Omfif, the financial think-tank. He thinks the Conservatives are 50% for remain, 40% for out and 10% unknown. On the Labour side, remain is supported by 215 members, leave by seven and there are 10 unknown. In percentage terms, that makes 93% in favour of staying, against 3% for leaving. The 56 Scottish Nationalists and the eight Liberals are overwhelmingly for remain but the views of the Welsh and Northern Irish members are more mixed. Nevertheless, the overall picture is clear. Reading concludes that the MPs are 70% in favour of remaining with 20% wanting to leave and 10% whose preferences are unknown. That does not sound far off the mark. So what will Parliament do in the event of a referendum vote for Brexit? Reading suggests it will depend very much on the size of the majority and the turnout. If the vote was 60 to 40 to leave on a turnout of 80%, MPs might feel obliged to support a Bill for exiting because there was so much popular support. But if the vote was 51 to 49 on a turnout of 50%, they could legitimately argue that only just over 25% of the population had actively supported Brexit, and supporting a Bill to leave would be too big a step to take on the basis of such thin support. So, even if he wanted to, David Cameron could not get such a bill through the Commons, let alone the Lords. Prime Minister Boris Johnson, if he were to topple Cameron, would have even less chance. o how might this be resolved? One obvious tactic would be for Cameron to accept the Brexit vote and undertake to begin negotiations for withdrawal without actually triggering the formal mechanism that sets the two-year clock ticking. 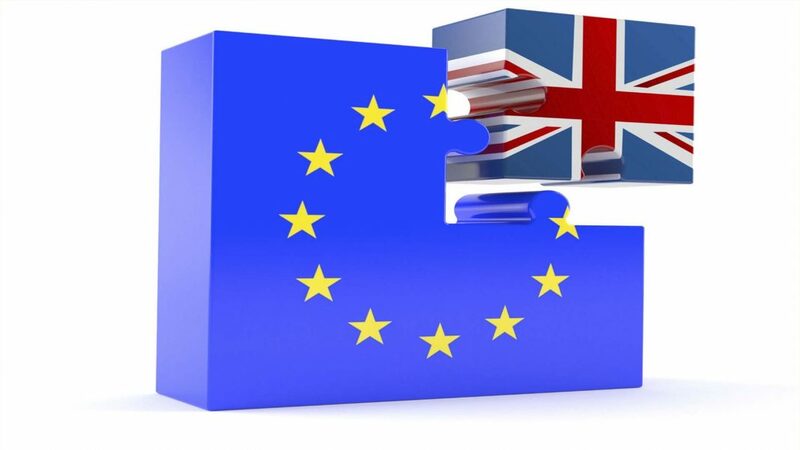 As these negotiations proceed, people will gradually get a better idea of what Brexit might mean in practice and it is a fair bet if the negotiations are tough that they might begin to have some doubts as to what they had signed up to. Even if they like the romantic idea of swimming in the wide open sea, they might not want to jump off Beachy Head to get into the water. Once there was a clear idea of what leaving would look like, it might be legitimate to go back to the country and ask, via another referendum, whether people still wanted to do this. And who knows what that result would be. Perhaps the only real conclusion he wrote , is that, far from settling the issue, this referendum is most likely to make things worse. A Remain vote is not going to convince the Tories that they should work more constructively and enthusiastically with the EU; a Leave vote may not achieve that result either. These past few weeks have entrenched prejudices far more than they have opened minds.